Stunning, chic setting to enjoy fine dining or a wedding feast. This restaurant is in one of the best locations in Alicante - on the top floor of the Real Club de Regatas in Alicante Port. The cuisine by chef Jesús Muñoz is delicious rice dishes which are typical of the Alicante region as well as the freshest fish and seafood dishes. The fish comes from the local markets at Santa Pola and Denia. 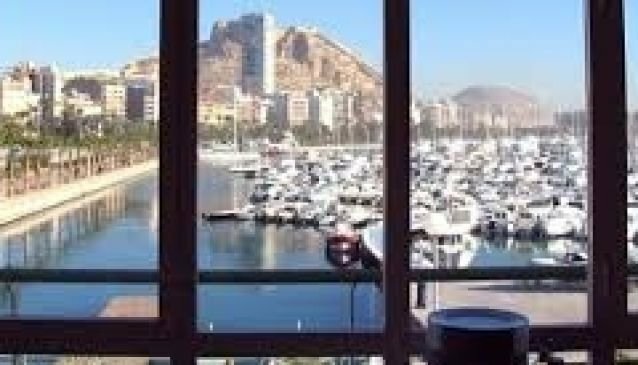 From the restaurant, diners can enjoy unrivalled views of the magnificent yachts in the marina as well as spectacular views of Santa Barbara castle. This is the ideal spot for a wedding or special celebration.